By now I am guessing most of you out there have heard of the MDS phenomenon. I jumped on board about a month ago and have been experimenting ever since. I am a very tactile crafter in that I love feeling things in my hands, so this whole digital thing was very foreign to me. i am also not that computer savvy...which in its own part proved challenging. This is the first (and only card and tags) I have done on MDS. I am still getting my head around the fact that I actually found scrapbooking easier on this programme!!! The card is very bright (again not usually my palate). All DSP's, embellishments, trims, stamps and sentiments are form the free downloadables in the 30 day trial of MDS. The tag (again) is very basic, but I DID manage to get a faint snowflake punch as a faint accent in the background. Thanks for popping by today. Only a quick one as I am wrangling kids on School Holidays and creating MORE before my Free 30 Day trial expires in 5 days. promise to share more soon. 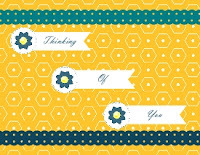 I am like you Lynda, traditional for cards but maybe MDS for scrapbooking!!! You have had a great time playing with the free trial. I am yet to find 30free days to be able to get the mostfrom the free trial... One day! Love these cards Lynda. Well done! I have to agree, I love playing with ink and paper. It has been fun playing around with it though.